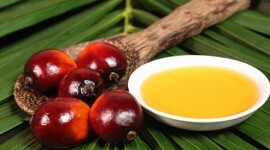 Buriti oil seems to be the true windfall for all the fans of natural cosmetics. It is obtained from fruits of the moriche palm in the process of cold pressing – it is natural and safe vegetable product. Its properties only just start to be appreciated in the field of cosmetology. How can you use this exotic oil in your everyday skin and hair care? Let us introduce eight ideas. The most popular method concerning buriti oil is a hair oil treatment, which is expected to provide right moisture, nourishment and elasticity of hair. 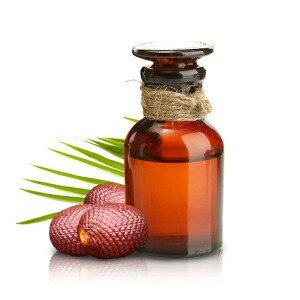 Hair treated with buriti oil are expected to become delicate, gain smoother, gloss and volume. Not many vegetable oils are as good for massage as buriti oil. This orange-reddish oil with beautiful nutty scent provides great slippage, nourishment, stimulation of blood circulation and aromatherapy. Thanks to large amounts of vitamin E, provitamin A and beta carotene, buriti oil is great in anti-age treatments for mature skin. It accelerates production of collagen, strengthens collagen fibres and eliminates ageing signs. Unique irritation soothing properties make buriti oil perfect for atopic eczema. Irritated, dry skin that deals with the disease will be calmed and smoothed, thanks to anti-inflammatory and soothing properties of buriti oil. 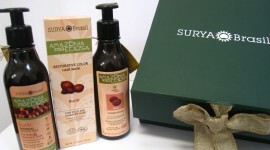 Buriti oil can be used for enrichment of properties of basic cosmetics. Added to the hair conditioner, shampoo, body balm or hand cream, buriti oil can make their properties even better. Buriti oil is a natural sun filter, so you should use it during sunbathing in order to protect skin and hair against harmful impact of UV radiation. Besides, buriti oil can enhance the tan. A bit of oil can be perfect for a skin care and nourishment of lips. You can enrich your lipstick with it or tap it directly in the skin of lips to provide them with hydration and prevent their flaking. Buriti oil can also effectively replace traditional nail conditioners. Because of its properties it is great at nourishment of nail plate (provides shine, smoothers and makes colour even) and prevents unaesthetic cuticles. Buriti Oil – Application and Effects Copyright © 2019.